Balanchine’s Ballerinas: Conversations with the Muses. 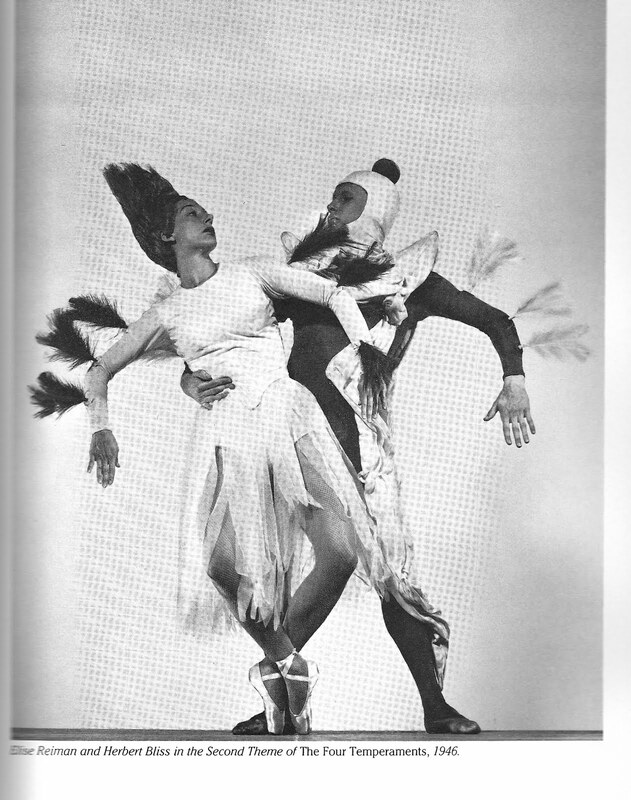 No photo credit, but caption reads: Elise Reiman and Herbert Bliss in the Second Theme of the Four Temperaments, 1946. 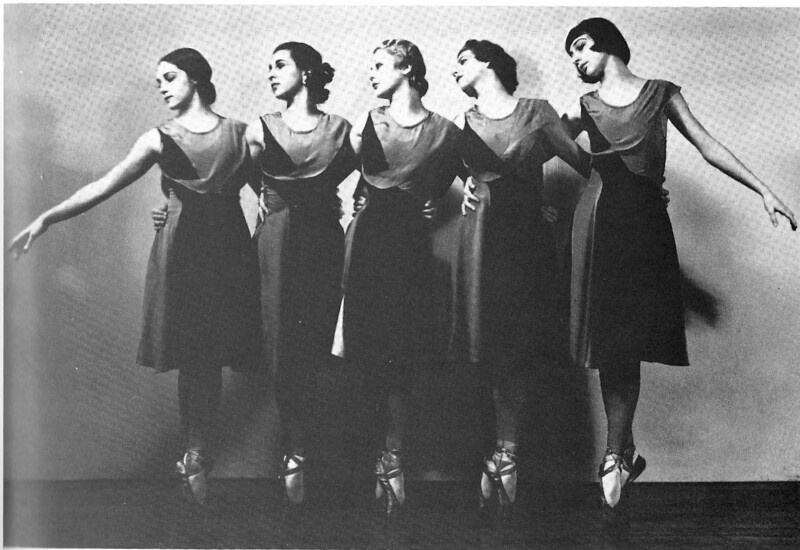 From the same Balanchine’s Ballerinas book. Annabelle Lyon, Ruthanna Boris, Helen Leitch, Holly Howard, and Elise Reiman. Sometimes the picture finds the one great moment. This picture isn’t that way…it’s actually representative. Imler and Postlewaite danced this cleanly throughout the piece. So fresh! They were breath-taking. Look at the gorgeous, elegant reflection: Josh Spell and Liora Reshef behind them. Pacific Northwest Ballet corps de ballet dancers Laura Gilbreath and William Lin-Yee in The Four Temperaments, choreographed by George Balanchine. They start the ballet…and you know in no uncertain terms that this is about line and angle. They were composed without being boring; that can’t be easy. And boy, did Gilbreath know how to use her long limbs! There’s no flailing; they go exactly where she wants them to: striking. This is the first time I’ve seen this duet where it didn’t seem like the woman was struggling to fit. Smooth, clean partnering: just right! Just got back from opening night… What a lovely evening! There’s nothing like overdosing on Balanchine. I feel inspired to be an artist, inspired to live in a way that uses every brain cell, every sense, every ounce of passion. 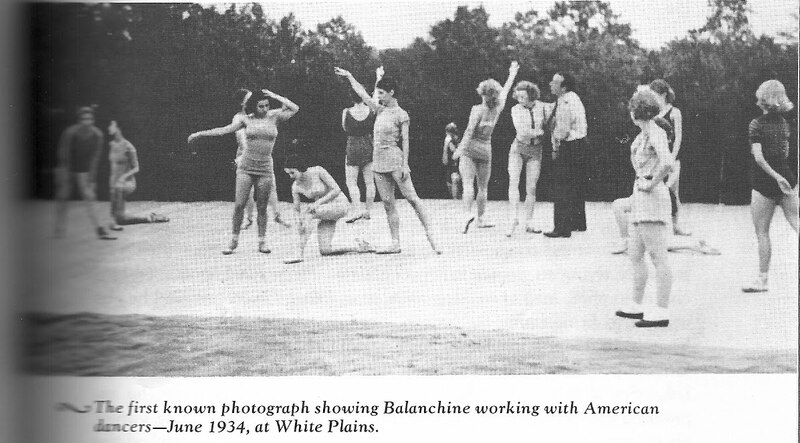 Secondly: If you’ve been thinking of buying Nancy Goldner’s book Balanchine Variations, now is the time to do it. All 3 ballets are covered in this readable, interesting book. $25? Oh, well, it’s worth it. They have it at Amusements at McCaw Hall; I’m sure you can find it elsewhere as well. Here’s the link for tix at PNB. And, if you’re under 25..
Are you age 25 or under? Get 1 ticket for $15 or 2 for $25! For tickets call PNB’s Box Office 206.441.2424 or visit 301 Mercer St. Under 25 Friday ticket offer is good Apr. 15, 16, 22 & 23 only. Subject to availability. Not valid on previously purchased tickets. Each attendee must present valid I.D. upon ticket retrieval. Got some folks out with injuries. The ones I’ve heard about are Stacy Lowenberg (at right), Maria Chapman, and Stanko Milov. But on the bright side, Kiyon Gaines is back on the cast list! I can’t wait for this program!